Crooked teeth are the most common oral problem to affect your appearance and ultimately your confidence. Crooked teeth can also difficult to clean. When teeth are not cleaned properly, oral diseases like periodontal disease can occur, damaging the gums and bones that can lead to tooth loss. If you are wishing that you had straighter teeth, but you don’t want the traditional braces option; consider Invisalign. What makes Invisalign better than conventional metal braces? More Appealing. Conventional braces are unappealing because of the very visible metal attached to your teeth. Invisalign braces are barely visible because they are clear so people won’t notice that you are wearing them. Comfortable to Wear. 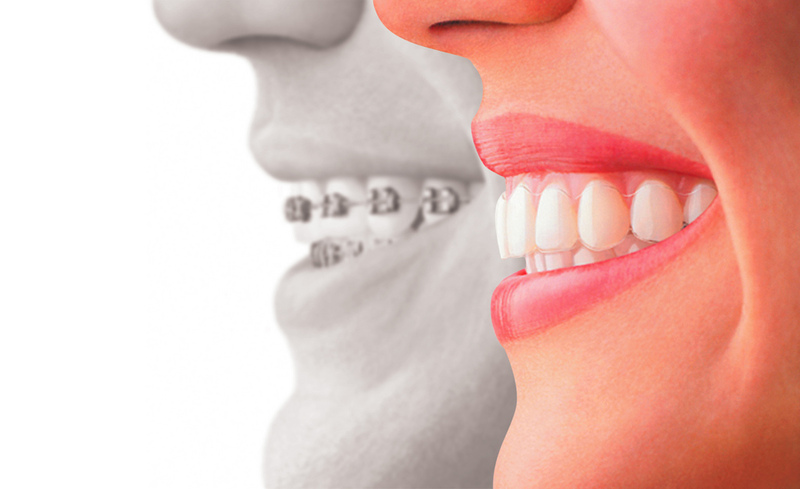 To remove metal braces, you would need to visit your orthodontist. With Invisalign, you can remove it as needed. You can remove them for short periods of time or whenever you wish to without having to see your dentist. Safer and Healthier. Invisalign reduces the occurrence of damaged gums and teeth, making them healthier to wear. The clear braces are comfortable and safer because they do not have sharp and protruding wires that are found in the metal braces. These can easily scratch and rupture the inside of your mouth. Compared to metal braces, they minimize the incidence of decaying and demineralization of teeth. Shorter Period of Treatment. Correcting crooked or misaligned teeth with Invisalign can happen as quickly as one year, compared to metal braces that can take up to five years. Computerized Treatment Planning. Patients who choose Invisalign go through a computerized treatment planning. When the treatment is planned, they are aware of how long they will need to wear the braces and what to expect prior to wearing them. With the conventional braces, a person does not have a clear idea of what to expect and the length of time they will need to wear them. Invisalign braces may be a little costlier, but the advantages are far outweigh conventional braces. If you are interested in having a straighter smile, call Dr. Voyles at Voyles Family Dental for a consult.